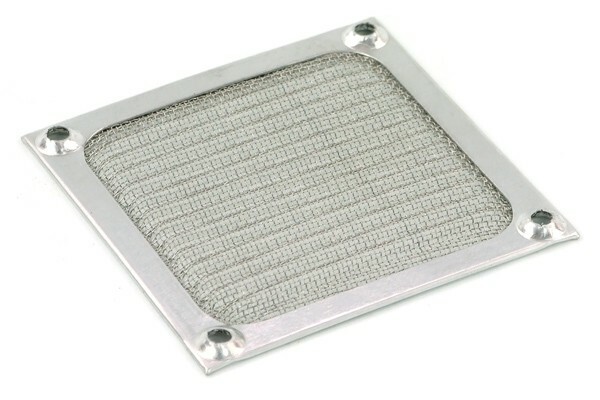 With these appealing metal fan filters you are finally rid of the annoying dust issue. It can simply be screwed onto the fan to effectively prevent dust from entering the case. The flow from the fans is only marginally influenced thanks to the coarse mesh of the filter. The filter can be cleaned easily and quickly and is hence reusable again and again. The most elegant appearance can be achieved with the black filters, hence we have the largest stock in black. Other colours will be available shortly if sold out.